The eight-part HBO series, based on the first novel by "Gone Girl" author Gillian Flynn and directed by Jean Marc Villee of "Big Little Lies," premieres July 8. Dead young girls. A reporter haunted by flashbacks. Bathtubs and barrooms, and a small town with something sinister sewn in. 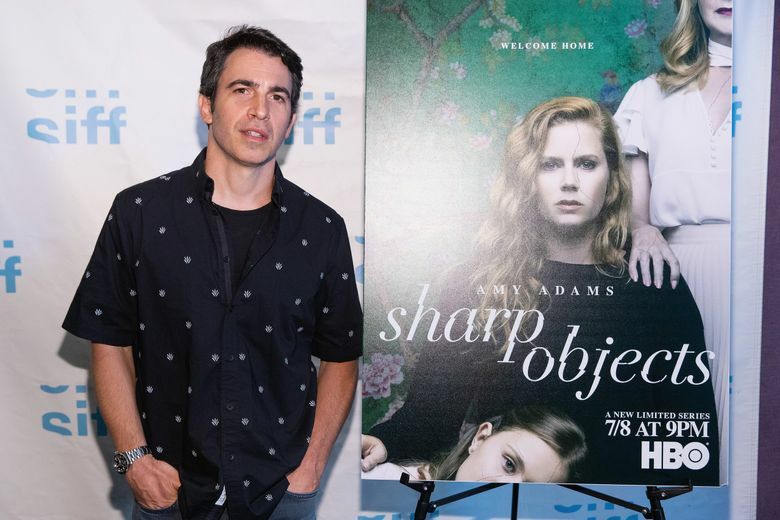 What’s a nice guy like Chris Messina doing in HBO’s upcoming series, “Sharp Objects”? The eight-part series, directed by Jean-Marc Vallée of “Big Little Lies,” premieres July 8 and stars Amy Adams as Camille Preaker, a St. Louis newspaper reporter who returns to her hometown of Wind Gap, Missouri, to write about the gruesome murders of two young girls. It forces her to reckon with her family’s ghosts — both past and present — and her own scars, both physical and emotional. In the process, Camille connects with Messina’s character, Detective Richard Willis, who came from Kansas City to help with the investigation. “He’s not that welcomed, certainly not by the police chief,” Messina said of his character. “Bumped heads, different philosophies. And he is extremely lonely. He has his own demons, he has his own past, and a lot of it is kept quiet. He is his own mystery, and he leans on Amy’s character for information. He was brought into the project by Adams, with whom he starred in 2009’s “Julie & Julia,” and who told him to read Flynn’s 2006 novel. Messina read for the part, but director Vallée needed some convincing. Once filming started, Vallée was happy with one or two takes — an approach Messina didn’t take to right away. The dark tone of the series allowed Messina an escape from the “nice-guy schmucks” he has played in films like “Julie & Julia,” in which he played Adams’ long-suffering, constantly-consuming husband.